For the last three years I’ve brought a good friend of mine camping and hiking in the White Mountains National Forest. It is typically one of my favorite trips to the Whites for the year because he doesn’t often get out of the city and he brings an enthusiastic and fresh outlook on the trip which I sometimes neglect to do myself. This year we didn’t coordinate well enough to go camping, but we went on an epic hike. Since he is not a dirtbag like myself, we started with easier hikes and made them progressively harder hikes over the years. 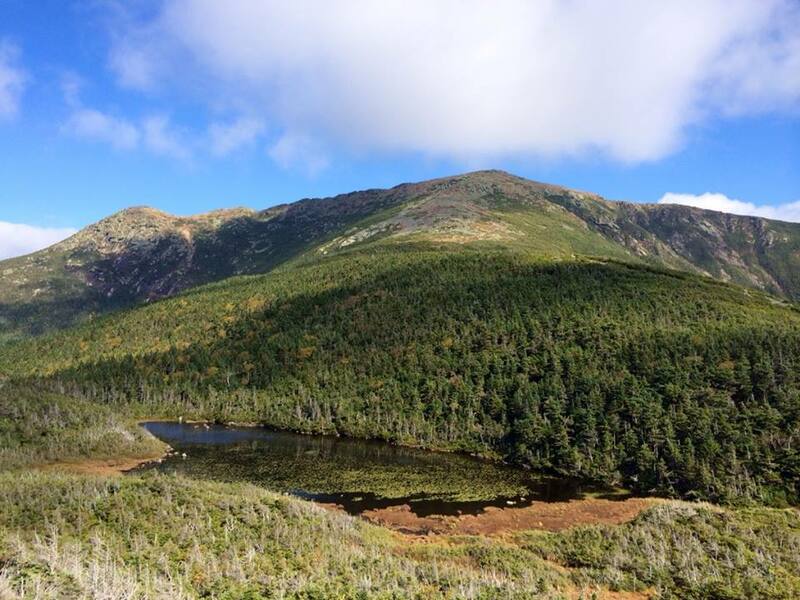 We started with Mount Willard and Mount Field in Crawford Notch, last year we did both Osceolas off the Kancamangus Highway, and this year we did one the most spectacular hikes in the Northeast, Franconia Ridge. We left Portland at around 8am and hit the trailhead in Franconia Notch State Park just before 11am. We did the typical loop starting up Falling Waters Trail, north along the ridge from Little Haystack to Lafayette (Big Haystack) an back down via Greenleaf Trail and Old Bridle Path. 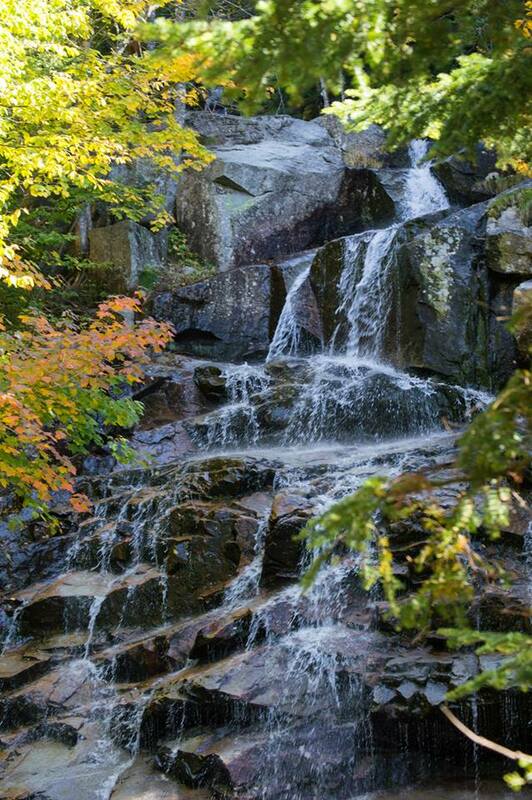 Falling Waters is a beautiful path the follows Dry Brook up to Shining Rock and then the summit of Little Haystack. On the lower half the trail crosses the brook many time and in places follows the bald rock which comprises the brook’s bank. The foliage was approaching its peak which added contrast to the scenery, but brought a lot of foot traffic to the already very popular trails. Once the trail left the brook-side it became very steep. A lot of the leaf-peepers stopped at this point, but many decided that they would attempt the ridge. As a result, we started passing people who were way beyond their comfort level attempting to climb the steep trail. There was a couple near collapse who asked if they were near the summit when they were only 1/3 of the way and had yet hit the steepest portion of the trail. There was also a pair of seemingly fit yet exhausted men who asked if they were near Lafayette. I explained that they were 3/4 of the way to Little Haystack, not Lafayette. They thought they were on Old Bridle Path and had no map or sense of where they truly were. They wanted to be back down by 3pm and I informed them that we were shooting for 5:30pm and were moving a lot faster than they were. This is something that really irks me. 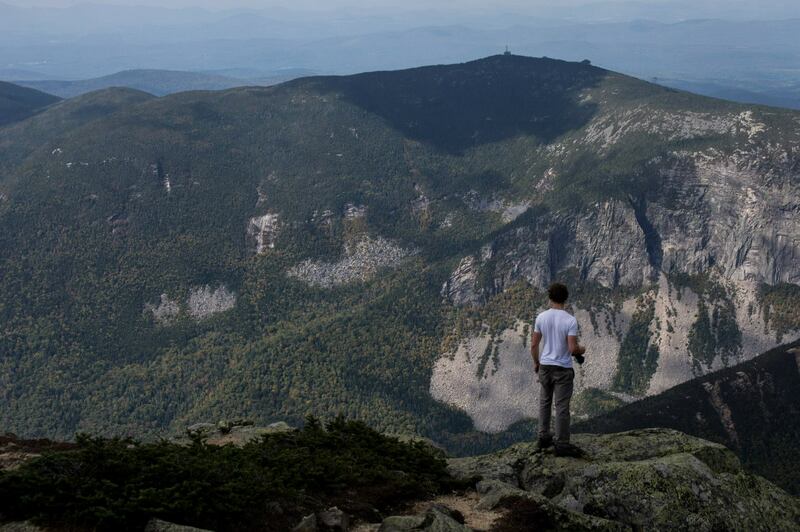 I know that Franconia Ridge is hugely popular and based on the views, deservedly so. But, why do people choose one of the more difficult hikes as an introduction into hiking, why not work up to it like I did over three years with my friend? Some of the people I saw attempting the hike would have had a hard time walking 9 miles around a track. Why did they think they could do the same distance but up steep rock and far from any help? My friend led the way as we burned past group after group of hikers. Based on their apparent fitness level, exhaustion and preparedness I either greeted them or warned them of the difficulty and length of the trail ahead. We soon came to the spur trail out to Shining Rock and took a short break to enjoy the views. After we had taken in the views of Lonesome Lake, Cannon Cliffs and North and South Kinsman we made our way up to Little Haystack. The hike from Shining Rock was short but steep and we didn’t break out of the trees until we were almost to the summit. I found a rock with a view to the west toward Cannon Mountain while my friend hopped around with his camera snapping shots of the amazing view. At one point he stopped on a ledge and stared across Franconia Notch to the Cannon Cliffs. I took out my Nikon and captured a photo of him standing there lost in thought. The immensity of the cliffs appeared to be drawing him into the void between. After we had a snack and conversed with other hikers we began our trek north up Franconia Ridge Trail. There was something very unique and powerful about this section of the Appalachian Trail. I’ve talked to many thru-hikers who have placed it on top of their list of favorite sections of the AT. My friend kept commenting on how it felt like something out of The Lord of the Rings. Indeed, it did. It was my third time hiking those 1.7 miles of trail, but it still felt like there was too much to see, too much to take in. It wasn’t long before we had pushed our way up to the summit of Mount Lincoln. Looking back I could see the trail following the spine of the mountain back to Little Haystack and behind it the conical Mount Flume and Mount Liberty. We continued on, diving down into the col between Lincoln and Lafayette and then making the rugged climb up Lafayette’s cone. The climb from Little Haystack to Lafayette is only 850′ over almost 2 miles but at that point in the hike we had gone nearly 5 miles and 4000′ of vertical. As we approached Lafayette the summit was occasionally smudged out by clouds and as we made the peak we did so in the cool mist of one such cloud. I was afraid that I had missed my chance to stand on Lafayette and take in the view. The first time I had been there it was raining and the second time Lafayette’s peak was affixed in a think blanket of clouds. But, within 10 minutes of being on the peak the clouds broke and I had my view. 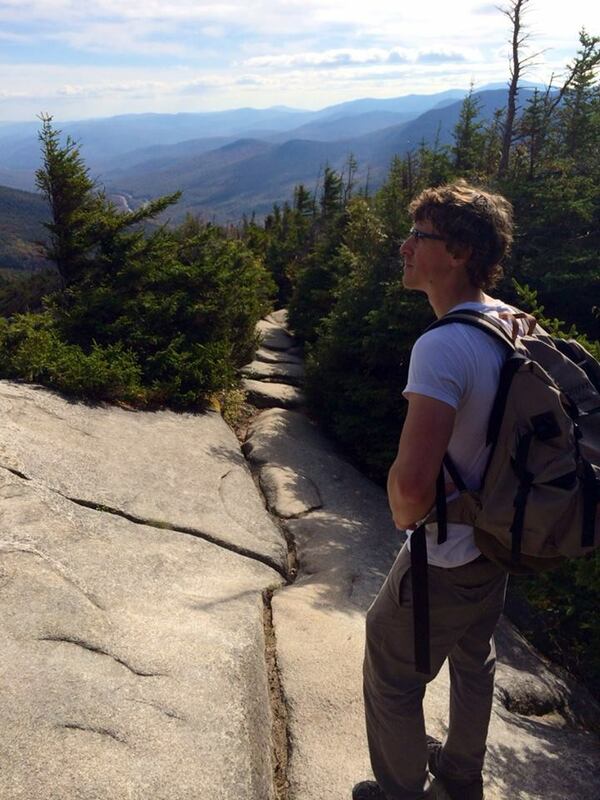 I was particularly fond of Owls Head and the rest of the Pemigewasset Wilderness to the east. It reminded me of the Pemi Loop, a great 3 day hike I did the previous year. My friend got to talking with some other hikers about different camera models while I had another snack. The peak soon became crowded and as we stood talking our sweaty clothes began to cool us off. As another cloud rolled over the top of Lafayette me started down Greenleaf Trail toward Greenleaf Hut, a mile below. The hike down the ridge was steep and rugged, but we made good time. 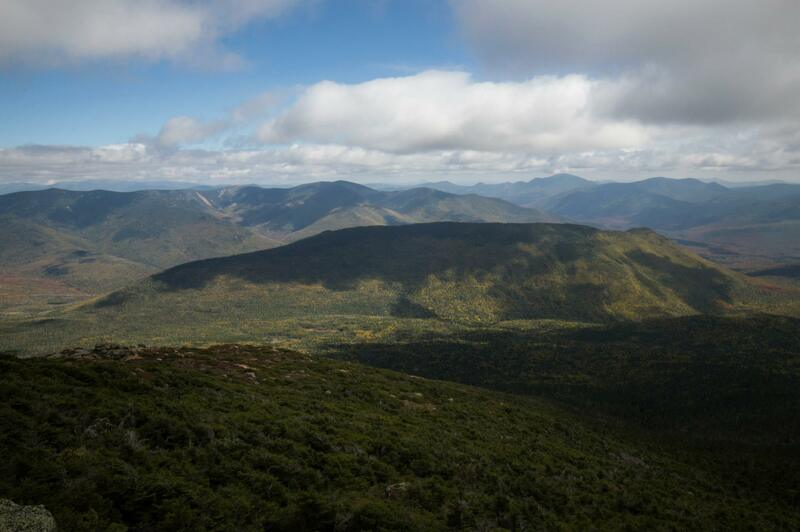 We soon descended back into the stunted, high altitude evergreens surrounding Franconia Ridge. The trail flattened and then rose a little as we approached Greenleaf hut. There were many packs and trekking poles lining the wall outside the entrance to the hut, so were stopped for just a minute to take some photos of Eagle Lakes with Lafayette standing guard over it and then made our way toward Old Bridle Path. The only other time I had hiked down Old Bridle Path the rain was flying up from the notch due to high winds. My brother and I had no views that day but we appreciated the fact that they would have been superb. On this day my friend and I got to take in those views. 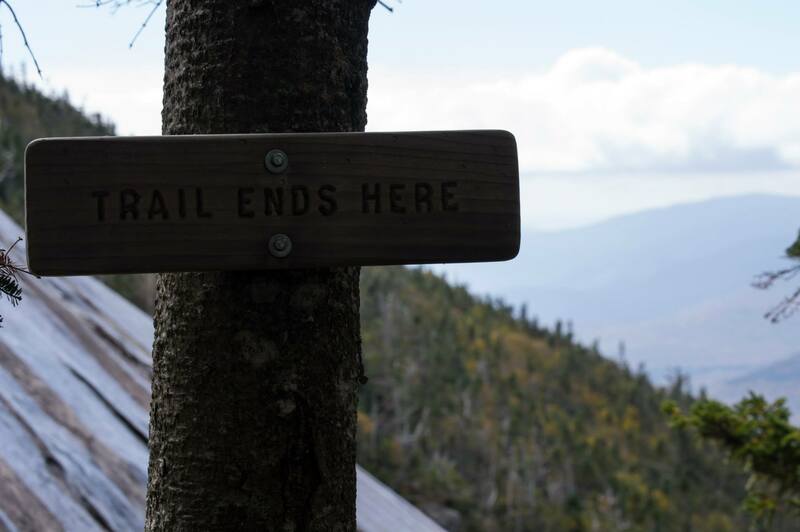 Old Bridle Path follows a long curving arm of ridge, affording great views of Franconia Notch and of the valley and headwall between Lafayette and Lincoln. 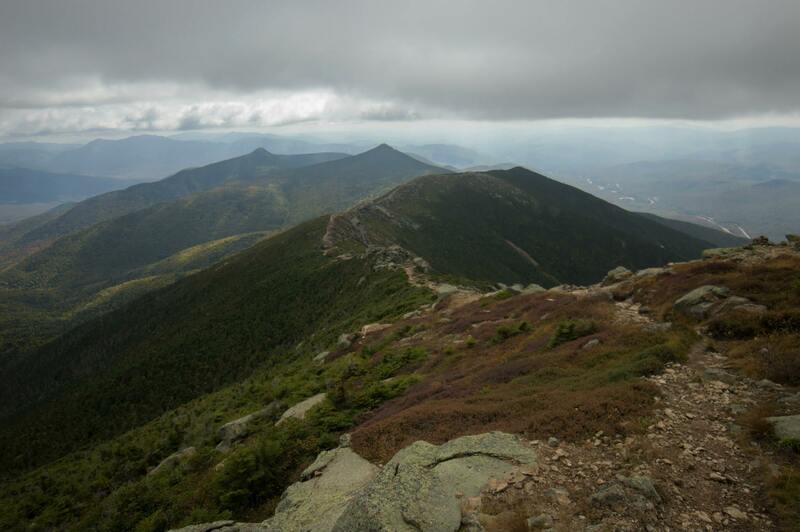 It is a very unique path with many vistas of bald ledge facing Franconia Ridge. After coming down off the ridge the Old Bridle Path was fairly flat for a mile or so and then it connected back to Falling Waters Trail. We got back on the road in time for me to not have to wait for the late boat back to the island. Hopefully those who were not prepared for the challenge of the ridge found their way safely of the mountain that day. 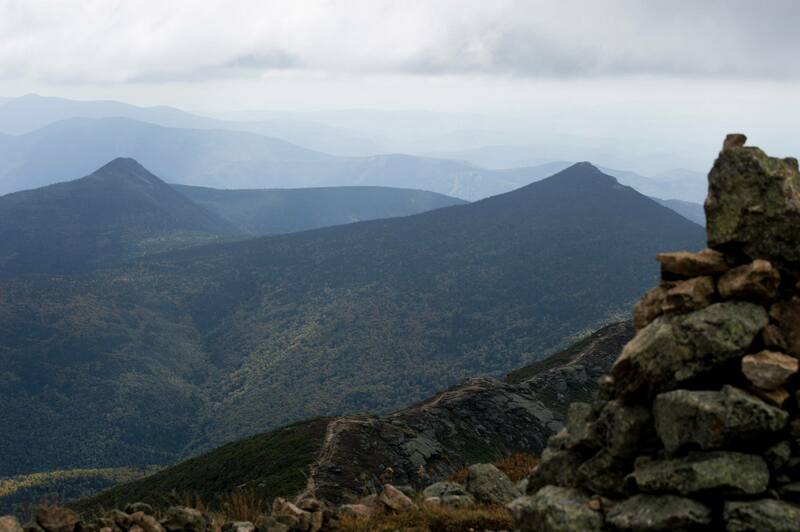 The Franconia Ridge experiences what I call the ‘tourist syndrome,’ People think: ‘The mountain is right here so I’ll just go take a simple walk without planning.’ They underestimate their plan, and the mountain, and think they won’t get into trouble. That’s usually when they do. “Franconia Notch State Park.” nhparks.org. NH Department of Resources and Economic Development. Web. 26 October 2014. 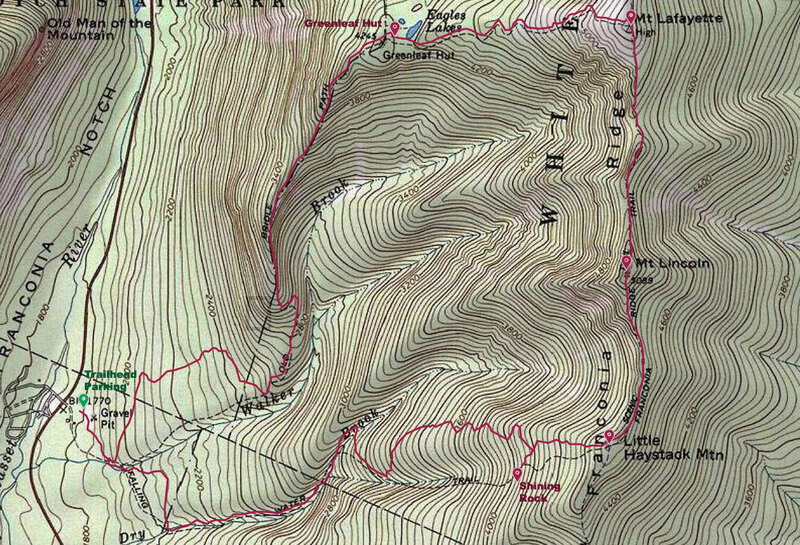 “Greenleaf Hut at Mount Lafayette.” outdoors.org. Appalachian Mountain Club. Web. 30 October 2014. “Rescue on the Ridge.” outdoors.org. Appalachian Mountain Club. Web. 30 October 2014. This entry was posted in Hike and tagged 4000 Footer, Franconia Ridge State Park, Greenleaf Hut, Hike, Little Haystack, Mount Lafayette, Mount Lincoln, New Hampshire, Shining Rock. Bookmark the permalink.